PGS Electricians have vast experience working for landlords and property managers. 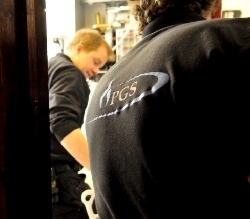 If you are managing property then PGS Electricians can provide you with the high levels of service that you require. We are able to respond quickly and have systems and procedures in place that are tailored specifically to meet your needs. Our electrical engineers are always smartly dressed, polite and friendly. They drive clean, modern vehicles and are assisted by our efficient office based scheduling team. We provide feedback for jobs via email (or otherwise as required) and go to great lengths to ensure that customers are always aware of all options and costs. Landlords have legal responsibilities to their tenants and PGS Electricians can help ensure that you are fulfilling these requirements. All work that we carry out meets the regulatory standards and any required certification is always thoroughly completed as necessary. In addition to electricians we also have engineering teams which include plumbers, heating engineers and general handymen. This helps us to provide a complete property maintenance service and, in instances where there is a cross-over of different trades, a seamless project management service with a single point of contact for the customer. Companies that we have forged strong working relationships with include Knight Frank, Savills, Leaders, Chancellors and many more. We are confident that all our customers will vouch for our professionalism and pro-active approach.